The best package to discover the city of Milan and its beauty. A romantic stay full of love and attention to details. Book in complete freedom and cancel up to 24 hours before arrival. Hotel Berna is located in a strategically perfect part of Milan, making it easy to get around whether you are here for business or pleasure. 100% Smoke Free hotel, we offer you free Wi-Fi, free soft-drink minibar, 24free tea/coffee 24 hours a day, the customization of your room through our exclusive MyPage and much more. Four different room typologies, the American Bar, the automated garage and 2 meeting rooms complete our services. Add our unforgettable breakfast, the meticulous care to details, the attention to cleanliness and hygiene but even more the friendliness and warmth of our family and the Hotel Berna will become your second home in Milan. First of all, our welcoming smile. The best choice for your stay in Milan! Inside Milan, outside the Limited Traffic Area. 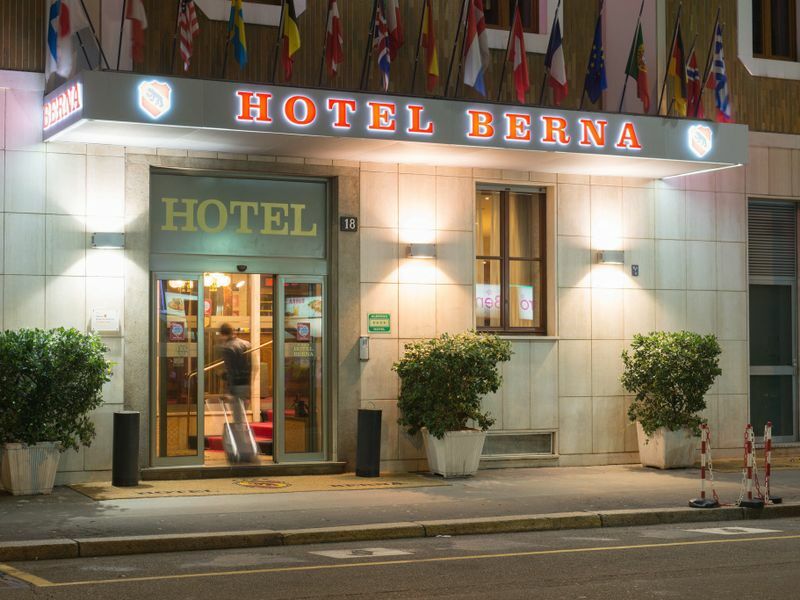 Hotel Berna is located in a strategically perfect part of Milan, making it easy to get around whether you are here for business or pleasure.